So ...I’m having an issue and was hoping someone could tell me what the problem might be. I’ve got a ‘92 Z28 305 TPI, Manual. The car runs great, starts right up, but after running for a while and shutting it off it doesn’t want to start again for an hour or two. I’ve read a few things saying that it might be a problem with the screen/tube on the fuel pump. I’m really trying to avoid pulling the tank if at all possible and was hoping someone may have some other ideas of what it might be. Thanks in advance. Last edited by SCVFL; 02-09-2019 at 06:42 AM. Do a fuel pressure test when you are having the issue, if good pressure and flow you can probably rule out pulling the tank. One thing to note the fuel pump is enabled both by oil pressure switch and the ECU. If for some reason the ECU isn't turning on the pump when the car is cold you can normally build enough oil pressure to trigger the fuel pump by spinning the starter a few seconds, but not when the car is warm. Use a test light or volt meter to see if the pump is turning on during the failure mode, the relay is under the hood driver side firewall. Report back on findings, the next area to look would be ignition. Also check your fuel lines, if they are getting hot you could have a vapor lock issue... I've also seen a dozen people in the last month that have had bad fuel injectors. I don't recall which models have it but some of the TBI cars have a cold start injector that primes the intake with fuel for cold starts. This can be enough to get the engine running when cold but the other 8 aren't healthy enough to crank the car when hot. I did notice that the fuel lines were hot yesterday and thought it was odd. It was almost instant from the time I started the engine. What would be causing the vapor lock? Vapor lock is caused by hot fuel vaporizing in the fuel line this fuel vapor blocks the fuel flow. More than likely your fuel lines are routed too close to something hot. Or your engine could be getting way too hot and your gauge be wrong. There are two other things you might want to look at that heat can effect. when the no start occurs do you have injector pulse and or spark ? A bad ignition control module can be the culprit. 89-92 tpi used a grey body injector called multec. 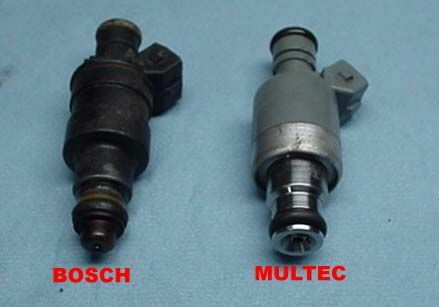 These multec injectors often fail when hot. You can ohm them when hot and should see 15.5-16.5 ohms. Lower than that they are shorted and can cause the injector driver to shut down and you would not see injector pulse with a noid light. Last edited by Tuned Performance; 02-08-2019 at 05:17 PM. Thanks for the replies. I double checked the fuel lines and I don’t think that is the issue. I am going to test the injectors tomorrow as well as they oil sensor. Which relay is the oil sensor? Your issue wouldn’t be the ops. The fuel pump relay powers the fuel pump for run and prime. The ops is backup Incase the relay fails. Your thread title indicates cranking ? Is this a cranking issue or a no start ? Last edited by Tuned Performance; 02-08-2019 at 06:55 PM. I guess it would be a no start issue. When I turn the key it just spins, but will not start. At least not for an hour or two after running fine. Is there even a reason to test them warm at this point? Can anyone recommend a good set of injectors to order? How hard/expensive is it to get tuned? you would also need a moates.net g1, burn 2 and a few sst eeproms. 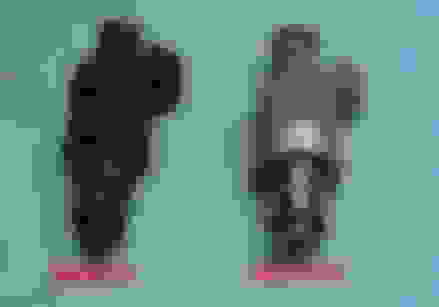 The offsets might not be 100% a fix you might have to correct your volumetric efficiency tables. For this you will need a aldl to usb cable and tuner pro rt, as well as the $8d definition file. SO I just happened by this video, its a vette but its the exact same issue I've seen several people post here lately. Obviously you may not have all the tools this guy does but this is how you diagnose the "no start"
91 camaro is not cranking not security issue. Cranking, and cranking, not firing. 350 w/Q-jet has Idle problems, did cranking compression test, comments? suggestions?